I wrote recently about the offer of 12,000 Avios points for taking out a £150 Economist subscription. Lufthansa has now launched their own version. On the face of it, the deal is worse. You only earn 10,000 Miles & More miles for your £150 spend. However, Miles & More miles are a lot harder to earn if you live in the UK – Lufthansa is not an American Express Membership Rewards partner and they are not a Tesco partner. You also cannot buy Miles & More miles any longer. This offer effectively lets you buy 10,000 miles for 1.5p each and throws in 52 free magazines as well! The link is here if you are interested. For the fourth year, Hyatt and American Express are supporting a charitable weekend event in London from October 8th – 11th, organised by Driven2Travel and Luxury Travel Diary. 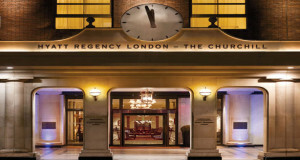 Whilst it is being held at the Hyatt Churchill hotel in London, guests are welcome from anywhere. It is a better deal if you live outside London as you need to stay at The Churchill or its sister hotel the Andaz to participate. There are various events – a champagne reception at The Churchill on Thursday, an American Express focus group on Friday, dinner at Hyatt’s Andaz hotel in the City on Friday, a Molton Brown-themed brunch on Saturday and a gala dinner on the Saturday. All of the events are free as long as you are booked in the Hyatt Churchill or Andaz on specific cash rates. I am due to be at the gala dinner on Saturday as a guest of the sponsors. However, Head for Points, for clarity, has no involvement in the organisation of the event itself. You can find more information here. Finally, a couple of additional taxi codes as these always prove popular. 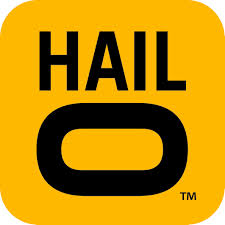 London black cab app Hailo, which doesn’t always have an offer running, is currently offering a £10 sign-up credit when you download the app and use code STANDARD10. Meanwhile, London minicab app Kabbee has reactivated the Head for Points exclusive £10 code. You need to enter code [deleted as now expired] after downloading the app. Note that the credit is only valid for two weeks and you need to book a ride costing £10.01 or more to use it (the price is shown before you book). There is also still £10 sign-up credit available for Hailo’s main black cab rival Gett (was Get Taxi) – see here. Finally, if Uber has recently launched near you, you can still get a free ride up to the value of £15 by downloading the app and registering code headforpoints. I was invited to the Amex event from a FT member and will be attending on Saturday morning and evening, so see ya there. I can’t wait to meet you – It will be a great event! Does anyone know if you can get the bonus points on an Economist sub if you have done the promo before? I took out the sub last October and cancelled at the end of April. May well not notice, especially if you used a work address (perhaps send them to a family member for a few weeks and change back when the miles hit). Remember that you cannot get a partial refund now. I will probably be at the Saturday night event also. If so, hope to see you there. Utility bills aren’t the most exciting things in the world. But they get a lot more interesting when you know you can collect Avios on them. You’ll give your Avios balance a great boost by switching to Utility Warehouse, the Discount Club, which can save you money on gas, electricity, broadband and mobile bills. It’s easy to switch, as Utility Warehouse do it all for you. And you’ll have just one bill for all your services, so you’re in complete control of your household budget, making life a whole lot easier. The more services you take, the more you save and the more Avios you’ll collect. If you take a bundle that includes landline, broadband, energy and mobile, you’ll pick up 2,000 Avios just for joining and a bonus of 2,000 Avios every year. If you take out Bill Protector with your bundle, you’ll receive an additional 250 Avios and an annual bonus of 250 Avios. If you’re already a Utility Warehouse customer, you won’t miss out – you’ll still get the annual Avios bonus. Just give them a call to find out how. So your everyday utilities can help you get away even sooner. You must have had a very poor deal before. When I checked Utility Warehouse were 25-30% more expensive. I’ve switched to Ovo for 4410 avios.